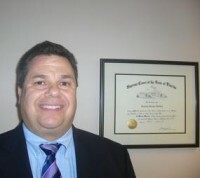 Gregory T. Buckley, Attorney at Law graduated from the University of Florida College of Law in 1995. He previously worked at Shands Legal Services and Watson, Folds, and Walker in Gainesville, before becoming a sole practitioner in 2002. He recently joined the firm of Bogin, Munns & Munns in Gainesville. Mr. Buckley is pleased to help you with all of your family law needs, including divorce, child custody and visitation, child support, alimony, name changes, and more.